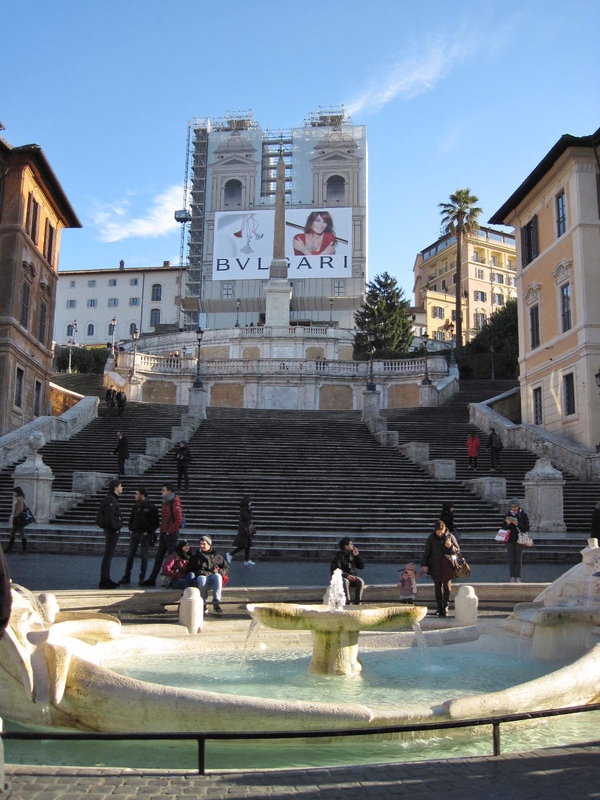 The Spanish Steps were designed by the Italian Francesco de Sanctis and built in 1725. At the foot of the stairs is a fountain featuring a small boat. The fountain is named Barcaccia and is believed to be by Pietro Bernini. 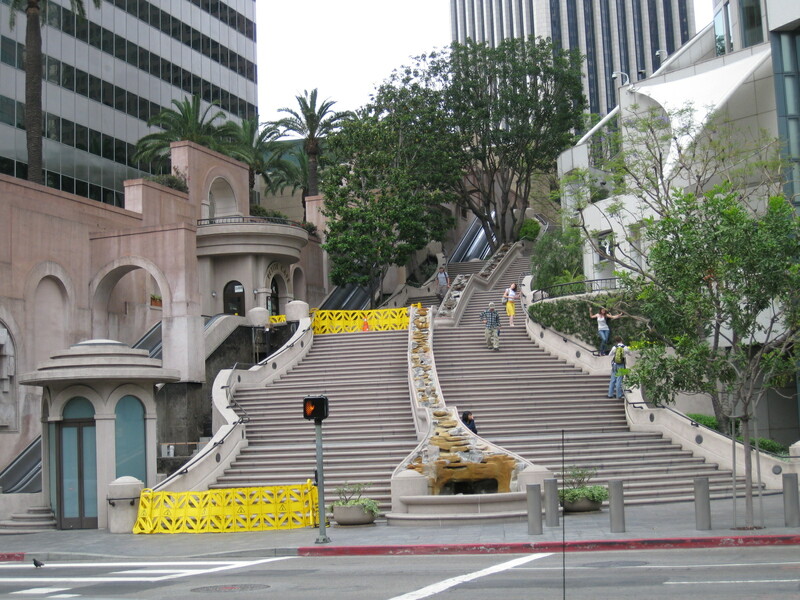 The Bunker Hill Steps were designed by Lawrence Halprin, inspired by Rome’s Spanish Steps and were completed in 1990. 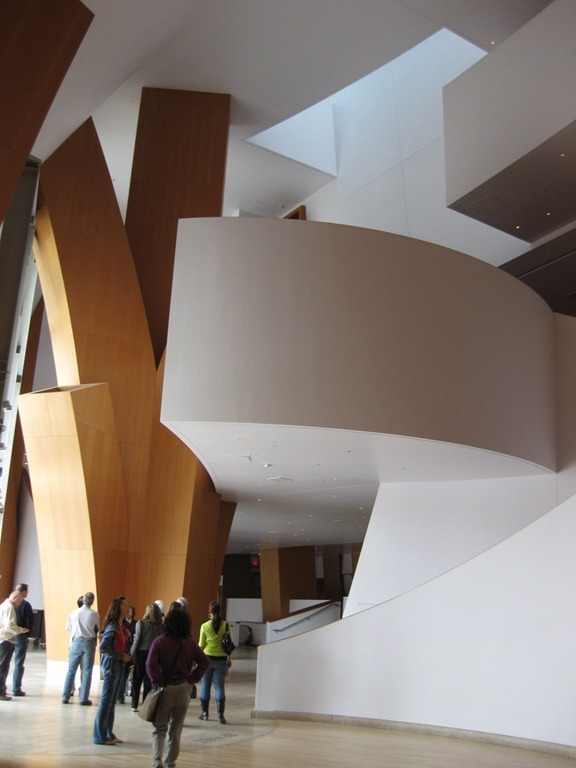 The stairway is divided in two by a simulated mountain stream. The source of the water is a fountain at the top called Source Figure which features a sculpture of a female. This bronze sculpture was designed by Robert Graham. The California Science Center in Los Angeles is home to the space shuttle Endeavour. This is one of the four locations in the United States that have or will have space shuttle exhibits. It is very fitting that one of the shuttles would retire in Southern California since a lot of shuttle design, manufacturing and assembly work was done there. Once we got 8 to 10 miles out off the coast of San Pedro (towards Catalina), the boat’s captain let us know that he had spotted 3 or 4 whales. They were fin whales which can reach up to 90 feet in length. Once we got closer, we could see the spray from their spouts. They were sending the spray 8 to 10 feet up in the air. They would blow then we could see their backs break the surface, large, black and rounded with a prominent dorsal fin. When we have had family visitors from out of state, naturally they have wanted to visit the usual tourist spots: the Hollywood walk, Grauman’s Chinese Theatre, Venice Beach, Beverly Hills, etc. 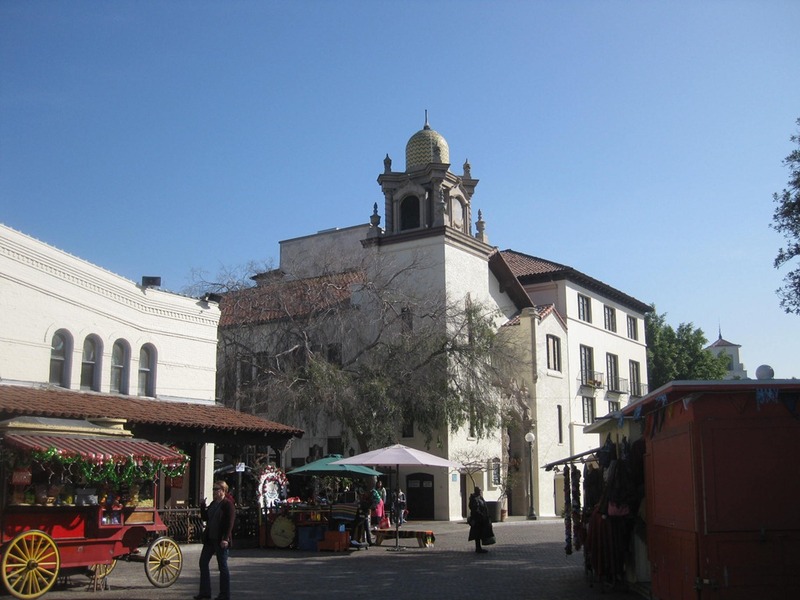 However, we wanted to offer a look at some of the lesser known attractions in downtown Los Angeles. So, after doing a little research on the internet, we devised our own tour that will consume 4 – 6 hours, is easily accessed on foot and hits several points of interest. (This map might be helpful.) Let’s get started.